Since I hit the 7 digit club back in October and got featured on RockStar Finance, things have really been picking up for the site. In October, the guys at Millionaires Unveiled invited me onto their podcast. I think it’s worth your time to check them out. 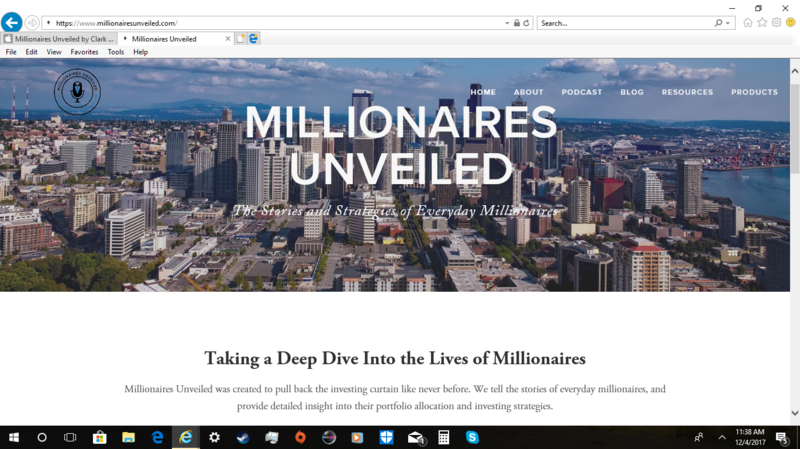 They are interviewing millionaires and digging into the backstory of those individuals, something that can be hard to get from just reading a blog. Here is the link to iTunes to listen to the podcast (I am episode 6). You can also go directly to their podcast section on their site.